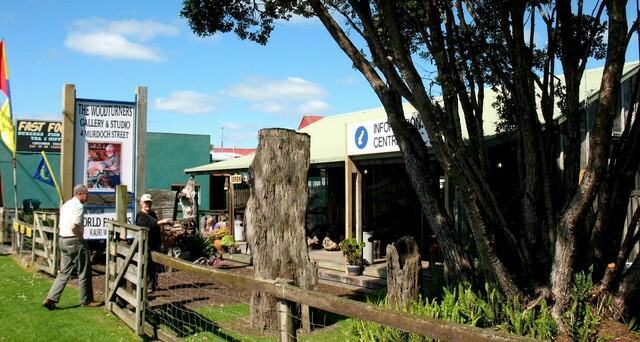 In 1992 we moved to Orewa and operated our home gallery for 5 years and in 1997 we relocated to Dargaville on the Kauri Coast. and the Dargaville Park Over for rvs/motorhomes. for real New Zealand made visit us at the studio. AND NOW WOODTURNED HATS ARE "OLD HAT"
We may be down in the kauri swamp getting more wood or demonstrating at a club or seminar. We offer 1 day or longer individual woodturning tuition here at our gallery. Turn some of our ancient kauri wood, learn some of Rick's "new wave" turning techniques, see and purchase his special woodturning tools (only available from us) and get inspired by what you see. 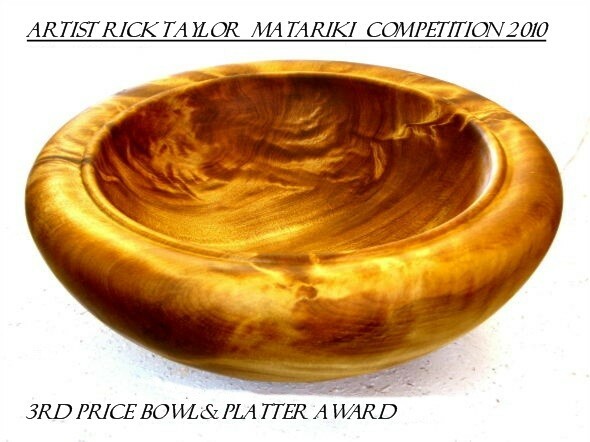 We will show you some of the kauri pieces in his gallery, how the kauri is recovered from local swamplands, beautiful kauri bowls, magnificent kauri hollow pots, stunning kauri platters, kauri lidded treasure boxes, kauri pens etc all hand made by Rick. Check out the gallery pages for bowls, platters, clocks pens, tool pages etc. You can purchase directly from us. Rick has created these wonderful carvings - the whale tail. and the stingray from ancient fiddleback grained kauri. Swamp test age 3860 years buried kauri and wonderful colours. 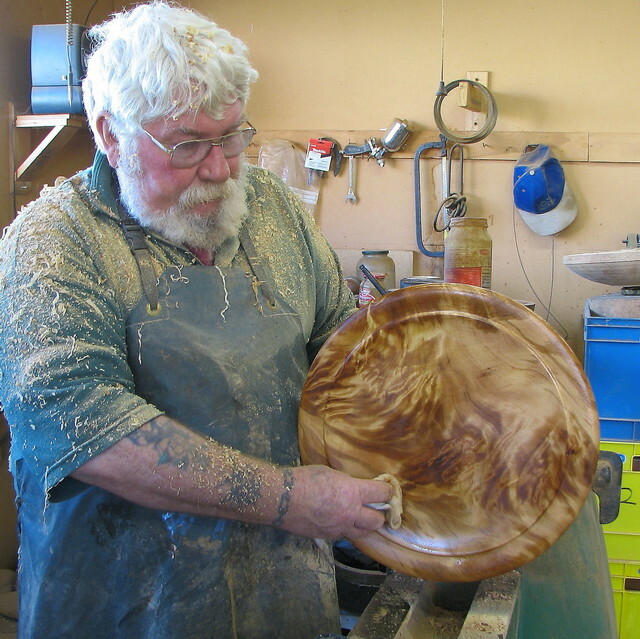 Rick has been woodturning for over 30 years and invites you to share his love of woodturning. 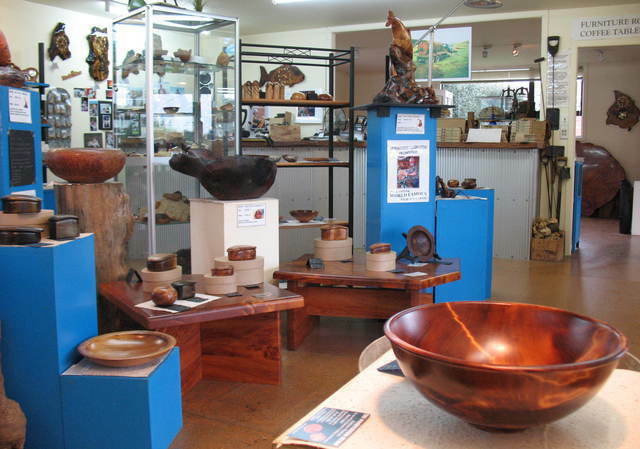 You will see the many colours and grains of the Ancient Kauri wood featured in the turned pieces shown in our gallery. We can now offer some of our wonderful ancient kauri to other woodturners and woodworkers. We can ship/post your purchases home. Overseas visitors can get the GST (tax) of 15% off the purchase price. This helps towards the postage costs. For fellow woodturners we offer information on woodturning tools available at our studio (we can post worldwide). This is individual tuition for 1 day or longer. Use Rick's tools, learn his "new wave" methods and have some fun as well. Learn how to enjoy your woodturning. Check the TODAYS NEWS page for demonstration/workshops happening soon and book your place for a workshop with Rick. Rick is also available for club seminars, workshops and shows. Group visits are welcome but please tell us your group is coming as Rick may be down in the swamp getting more kauri, or fishing or out and about and you don't want to miss seeing him in action on the woodlathe! We hope you enjoy our site - remembering that Rick is the woodturner and Sue looks after the Gallery and we are just learning about the art of making our website. Your comments are most welcome. Tell us if you want more information/photos etc on this site. Thanks, Sue and Rick Taylor. OUR STUDIO GALLERY & VISITOR INFORMATION CENTRE AS YOU CAN SEE IN THE PHOTOS.